My guess ... from my world ... they are the Cooling Fins for an electronic component ... such as a cpu. My guess is a Configulator from the bottom of a 1958 conjopulator turned upside down. 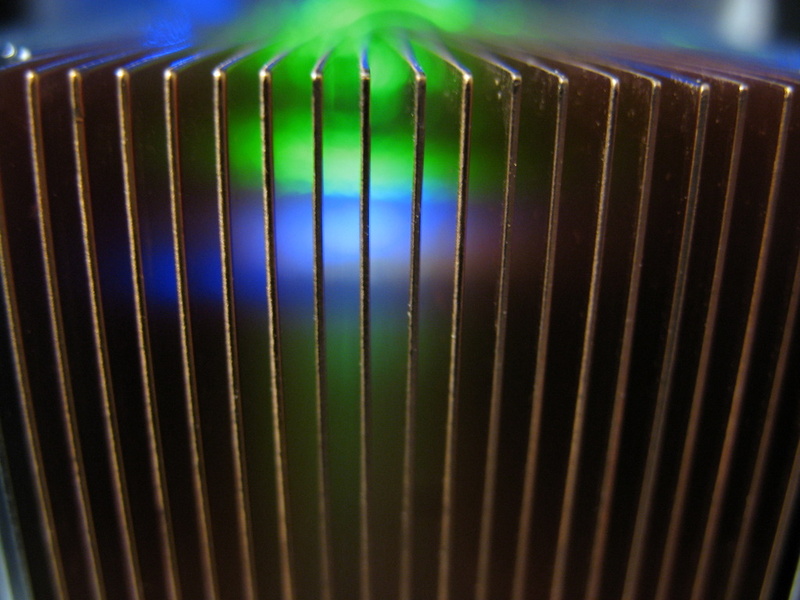 Though I do like the conjopulator idea, it is a macro shot of the cooling fins on a CPU heatsink that was sitting on my desk collecting dust. Well done! I was going to guess heat sink, but that was before you answered before my response. Cool shot, though.